Over the past 24 hours, there have been quality streams from the likes of Real Numbers, LA Font, Wild Pink, Two Houses, Super Unison, Planes Mistaken for Stars, Dennis Callaci, Tokyo Tea Room, Balance and Composure, Raccoon Fighter, and Turnip King. On top of that, there were a string of music videos that emerged from the camps of Slow Down Molasses, Odonis Odonis, LUH, La Lenguas, Magik Magik, Yohuna, Moses Sumney, Brendan Canning, and Makeunder. Providing the day with a welcome dash of finality were full streams that were unveiled by Magic Trick, Ski Saigon, and The Hecks. As always, all of those entries linked above are worth jumping over to and exploring with a certain level of intensity. However, they weren’t all that wound up being released Thursday. Screaming Females‘ Marissa Paternoster’s Noun project made an unexpected return with the jagged, lo-fi “Fame and Famine”. Quietly uploaded to Paternoster’s tumblr, “Fame and Famine” winds up benefiting from a pre-established tone of unpredictability. 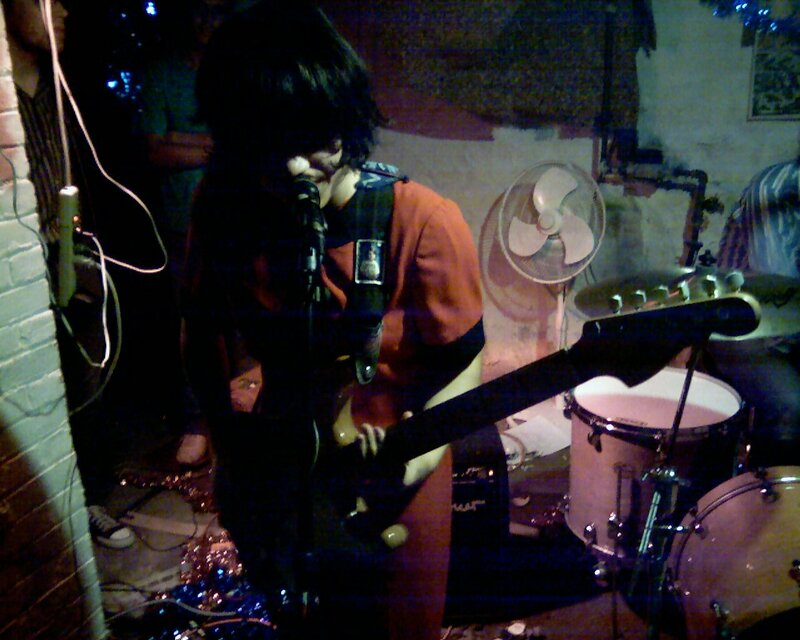 While Paternoster may get the most recognition for Screaming Females, Noun has proven to be a project just as worthy. 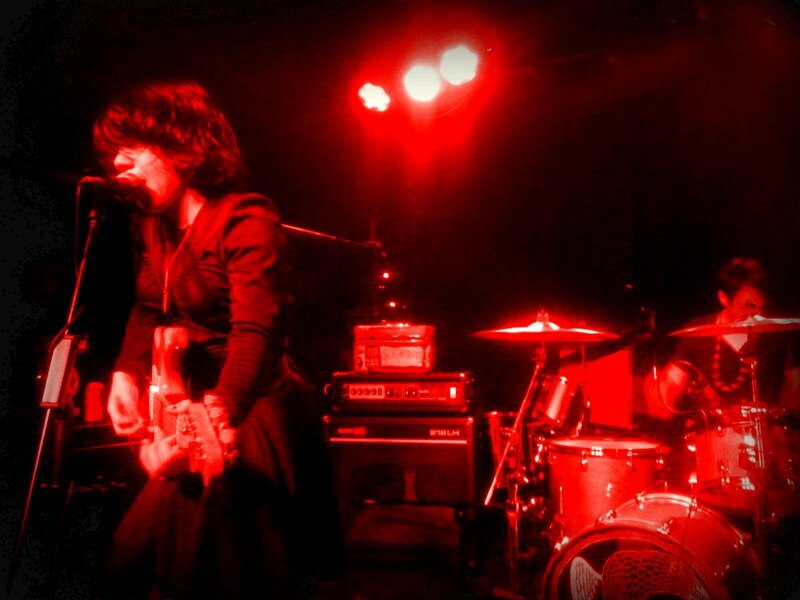 2010’s Holy Hell, a consistently overlooked triumph, may even be Paternoster’s finest record to date (though the last few Screaming Females records have been hitting some exhilarating highs). Noun’s consistently allowed Paternoster a wider range of possibilities, making a new entry into the project’s discography a tantalizing prospect. For “Fame and Famine”, Paternoster takes a direct, immediate route that fully commits to its lo-fi aesthetic and elevates itself via a comprehensive understanding of the format. There’s a surprising amount of nuance in the ambient beds that swirl beneath the insistent, repetitive main section that serves as the engine of “Fame and Famine”. Enhancing the aggressive disconnect that manifests in the narrative of “Fame and Famine” is the artwork the song’s projected over, one of Paternoster’s characteristically striking chalk-based originals. Everything packaged together winds up being as disconcerting as it does galvanizing. There’s a nervous undercurrent of stress that imbues every second of “Fame and Famine”, lending it a feeling of completeness that can be rare in demos. It’s a fascinating glimpse towards one of today’s most fascinating, tireless artists and it’s another in a long line of formidable examples of Paternoster’s creativity and commitment. Tenacious, unnerving, and more than memorable, “Fame and Famine” is one of the best surprise standalone releases of recent memory. Listen to “Fame and Famine” below and keep an eye on this site for more updates on the project. [EDITOR’S NOTE: A modified version of this paragraph appeared in the preceding post due to the nature of the pieces] Occasionally there are weeks where there are simply too many excessively strong live performance clips to highlight with just one entry and this week’s established itself as being of that caliber. It’s a rarity that there are exceptions to the setup of five featured clips and an honorable mentions list of hyperlinked material because it’s generally best to err on the side of brevity for these things. I’m not sure I can conjure up a more ringing endorsement than that for the 10 featured clips that will be running tonight. With the first half out of the way, it’s time to turn to the latter selections, all of which carry just as much impact as their predecessors. So, as always, sit up, adjust the volume, adjust the screen, lean in, focus, and Watch This. Throughout the week a lot was made of Tacocat‘s Rhapsody session due to their excellent Ramones cover but the band also delivered a fiery take on “Volcano”, an original that outshines the cover that circulated so many times over the past several days. “Volcano” is a perfect example of the band’s winsome sensibility and the band delivers it in earnest, with a palpable amount of affection for their craft. It’s an absolute joy to watch unfold and the perfect clip to kick off the second section. Ever since Watch This was initiated nearly two years ago, Screaming Females have been making frequent appearances in the series. The reasoning behind that decision’s uncomplicated: the band’s one of this generation’s best live acts. Some things are fairly cut and dry and the trio’s formidable abilities as a live act are nearly unparalleled in the DIY circuit. Still riding high on the success of this year’s tremendous Rose Mountain, the band stopped by the WFUV studios to turn in two fiery performances and extend their winning streak to even further lengths. In the midst of quietly putting together a strong year loaded with promise and potential, Froth stopped by the KEXP studios for a full session that provided a glimpse at what makes them one today’s more exciting bands. Finding a common ground between basement pop and shoegaze, the quartet’s bridged that gap and traversed every compelling mile between the two genres. While the music’s got an immediate nature, it’s best explored through serious investment where it reaps seemingly unlimited rewards. Already fascinating material is given new life in the live context, where it’s performed with a great amount of verve and genuine care. Fake Palms have landed their name on this site a small handful of times now thanks to a strong 2015 that saw them steadily emerging as a viable candidate for best new act in an overcrowded year. “Sparkles” was one of their breakthrough moments and Exclaim! recently caught the quartet gifting their cameras an explosive version of the tune in a picturesque outdoor setting. The combination makes for an unreasonably compelling piece of art that should help the band further their case for being one of the year’s more memorable acts. Very few songs this year have managed to freeze blood as quickly as SOAK‘s 2015 highlight “B a Nobody”. Bridie Monds-Watson- the enviably gifted songwriter operating under the SOAK moniker- seems to recognize this and is coaxing the appropriate mileage out of the song. Wisely kicking off this KEXP session with the tune to set the tone, it’s quickly followed by an effective trio that firmly establishes Monds-Watson as one of today’s premier young talents. KEXP’s cameras almost seem to be lensing Monds-Watson reverentially throughout this session, which provides the affair with a dimension that contributes to its stunning impact. Don’t miss this one. The first post today will be dedicated to a slew of yesterday’s outstanding releases and the focus will fall on one that evaded scrutiny by virtue of a very quiet release. Before diving too far into that song, though, it’s worth taking a beat to highlight a few other great pieces of media. Free Cake For Every Creature’s lo-fi visual presentation of “Take On Me” and Jane Weaver’s mesmerizing, animated clip for “Mission Desire” both constituted strong examples of retro-leaning music videos. The full streams colored in a very broad range of punk and punk influence, containing forthcoming releases from the following: Negative Scanner, EZTV, and American Culture. As usual, the majority of releases where very strong single streams. Knife Pleats brought out a very strong duo of tracks with both “One Step Too Far” and “Terrible”, Dark Palms unleashed the nightmarishly bruising, post-punk ripper “Dead Horse“, and Sleepy indulged their brightest pop sensibilities and blistering aggression simultaneously on the hard-charging “The Ride Up“. Worriers unloaded another brilliant politi-punk anthem with “Yes All Cops“, further suggesting that their upcoming full-length will rank among the year’s very finest releases. Shelf Life’s gently lilting (and gorgeous) “The Curse“, You Beauty.’s driving “ILLYWHACKA“, and DIV I DED’s pop-heavy shoegaze number “Electric Age” rounded the day’s releases out. The continued success of Screaming Females and the emergence of Bad Canoes seemingly relegated Paternoster’s Noun project to the back-burner but its flame was kept at a stubborn flicker during that time, with hints of a potential future release being unveiled as of late (including both “Far From Me” and “Glass Diamond“). While the live sets are still fairly infrequent, that’s made up for with the strength- and grace- of “I’m Afraid of What I’ll Do”. Parernoster’s had a tradition of being vulnerable in her prose but it’s rarely been laid as bare or presented as intimately as it is here. A gentle bass hums underneath “I’m Afraid of What I’ll Do” as Paternoster wearily pleads for companionship in a time of desperation. Riveting, haunting, and- ultimately- heartbreaking, “I’m Afraid of What I’ll Do” presents a very strong case for Paternoster as one of this generation’s strongest voices. It’s always worth listening to what that voice has to say. Listen to “I’m Afraid of What I’ll Do” below and keep an eye on this page for more updates on Noun. Over the course of the past few weeks, the influx of outstanding live videos has been staggering. Last week the series was put on a brief hold due to other personal obligations but even then, there was the threat of multiple installments for that particular Sunday. Amassing those with the live clips that followed in the subsequent week brings us to this point: there’s simply too much great material to feature to justify relegating anything exceeding the limit of five to the introductory paragraph(s). With this being the case, there will be seven- yes, seven– installments of Watch This to go live throughout the day (and possibly night). To that end, this very introduction will be running prior to volumes 74-80 to reduce the levels of overall exposition to provide an emphasis on the material at hand. Site favorites Girlpool and Waxahatchee were seemingly everywhere this week, securing multiple entries throughout this run while Faits Divers spread-out documentation of a set from Ought (another site favorite) managed to do the same. As always, each video featured is an exemplary showcase for both artist and host, covering a wide range of sounds and styles. So, as always, sit back, adjust the volume to your preferred settings, sit up straight, lean in (or back), and Watch This. Over the past year, Girlpool have been experiencing a quiet, rapid ascension in notoriety thanks to a singular take on songwriting. More than just about any other band operating, the duo have established a legitimate identity that manages to feel both familiar and singular. Here, in a lovingly shot session for Consequence of Sound, they provide some insight to their process and deliver two characteristically strong performances of Before The World Was Big‘s title track and “I Like That You Can See It”. It’s a powerful reminder of their seemingly limitless strengths and a perfect document of a young band on the cusp of reaching spectacular heights. There’s a joy inherent to Diet Cig‘s music that translates so effortlessly into their live presentation that practically guarantees them a Watch This feature spot every time a video surfaces. Over Easy remains one of the year’s best- and most endlessly listenable- releases, while Diet Cig’s live show continues to gain velocity. It’s an explosive combination that renders the duo one of the more exciting prospects in today’s music. Manic energy, genuine passion, and their visible love for their craft are given a defining image towards the clip’s closing minutes as guitarist/vocalist strikes a power stance, perched on the top of her amp and Noah Bowman’s bass drum, practically bursting with joy. All together, it’s the exact kind of thing this site was built to celebrate. Back in the 22nd volume of Watch This, The AV Club’s Undercover series took all five spots in a featured retrospective. One of those five selections was Screaming Females‘ incendiary Sheryl Crowe cover. The band and the series recently partnered up again, the band once again applying their unlikely brand to an even more unlikely cover; Taylor Swift’s inescapable “Shake It Off”. Played (mostly) straight with a fiery verve, the standout moment- unsurprisingly- is a deviation that allows guitarist/vocalist Marissa Paternoster to tear into a solo after a perfect breakdown. It’s one of the year’s most unexpectedly endearing moments. Courtney Barnett‘s Sometimes I Sit And Think, And Sometimes I Just Sit will almost certainly hold true as one of 2015’s most delightful titles. As enjoyable as the record is, though, there are moments of arresting pathos and gravitas that appear throughout. One of the most fascinating is Barnett’s treatsie on suburban malaise; “Depreston”. Barnett recently met up with the usually-great La Blogotheque for a performance capture that manages to transcend the bulk of the series’ considerable output. Simply put: it’s unforgettable. One of the year’s most welcome breakout success stories was that of Hop Along’s sudden increase in exposure, recognition, and acclaim (all of which the band’s deserved since before the release of Get Disowned). Instead of being daunted by the attention, the band seems to be thriving off it- pushing themselves to go even further. That drive’s reflected in this full session for KEXP that finds Frances Quinlan and co. front and center for a lively outdoor showcase featuring songs from both Get Disowned and 2015 Album of the Year candidate Painted Shut. As if all of that wasn’t enough reason to watch (and the fact that the band’s live show’s been so powerful that they’ve been a staple of this series since it started), this set also features a back-to-back pairing of “Waitress” and “Tibetan Songs”, which will always be a moment far too perfect for words. Since this site resumed regular coverage, there’s been a few excellent music-focused documentaries that have earned coverage. Girlpool, Pops Staples, The Epoch, and Butch Walker were the central subjects of all the preceding 2015 docs but tonight’s film brings Screaming Females‘ more recent paths to light. It’s a definitive capture of one of this generation’s most exciting bands as they continue their unlikely ascension. Before focusing all of the attention on the Lance Bangs-directed portrait of the perennial site favorites, it’s worth bringing up a few other great items to have recently surfaced as well. For the full streams, there was 100%’s hauntingly minimalist It gets darker and, as always, the newest additions to NPR’s vaunted First Listen series (Laura Marling’s Short Movie and JEFF The Brotherhood’s Wasted On The Dream are particularly memorable). Kendrick Lamar’s To Pimp A Butterfly was also just released a week ahead of schedule and it seems set to continue elevating his increasingly impressive career. All of those things are worth spending time getting to know but they’re not what this post’s about- that distinction, as stated, goes to Lance Bangs’ diaristic Screaming Females short. One thing that Screaming Females brings into sharp focus over its two-part installment is guitarist/vocalist Marissa Paternoster’s battle with an illness that became so severe that it forced the band to cancel an array of tour dates in support of Ugly. Around the mid-point of the documentary, Paternoster is in visible pain when she recalls the events, all the while remaining admirably steadfast in her convictions, never wanting to let anyone down. Paternoster was eventually diagnosed with fibromyalgia in addition to her mononucleosis. Never has their commitment to a DIY ethos been delivered with more clarity than it is in those harrowing minutes. While Screaming Females finds its voice in the opening minutes, with bassist King Mike providing a short, impact-heavy, list for why the band plays as many shows as they do. As the film progress, the band’s natural rapport cuts through the group vignettes like a knife; this is a band that clearly enjoys each other’s company, which is endlessly important. Memories, both painful and entertaining, are recounted, while the future’s left wide open. In approximately 20 minutes, Lance Bangs (who assembled everything masterfully, with a well-informed eye) manages to place the kind of spotlight on Screaming Females that they deserve, emphasizing the exact traits that cause me to continue to rally behind this band with no reservations. It’s a committed tale of a dedicated band- one who refuses to lose sight of the intangible elements that built their career in its earliest stages. There’s a genuine honesty present in Screaming Females that’s impossible to ignore, providing a crystallized account of how and why the band operates. Determination and passion are present in nearly every frame and, as each new piece of information is given, it’s abundantly clear that this trio of people are hell-bent on continuing to pursue the things they love most with no hesitation. In the end, the documentary doesn’t just wind up being heartfelt but it also succeeds in being legitimately inspirational. We could all learn a thing or two from this kind of passion. Watch Screaming Females below and order Rose Mountain (the band’s finest work to date) from Don Giovanni here. All of the evidence Screaming Females have been providing us of late seem to indicate that their upcoming album, the exquisitely titled Rose Mountain, could easily become their finest work to date. While most people seem intent on calling Ugly their crowning achievement, the debate over their previous “best record” had been endless. Even with Ugly in the mix, the separation between that record and, say, Power Move, isn’t all that sizeable. All of their records are absurdly strong pieces of work that feel gargantuan and genuinely complete, yet the songs they’ve been teasing Rose Mountain seem to exceed even that absurdly high level. “Ripe“, “Wishing Well“, and even “Let Me In” (the B-side to “Wishing Well”) all rank among the best songs the band’s ever done and that winning streak’s being extended with their most recent teaser track, “Empty Head”. As was the case with “Wishing Well” and “Ripe”, the band seems to have opted to eschew their more abrasive tendencies to create something that pushes their arresting melodic sensibilities to new extremes. Bandleader Marissa Paternoster seems to be dragging her main project towards the realms that occupied the extraordinary Holy Hell, the last album from her solo project, Noun. There’s an undeniable pop bent to “Empty Head”, which features yet another chorus that finds the band swinging for the fences and connecting with a startling emphasis. It’s a less intimidating affair than a lot of the band’s past work but yet another indication that basements simply won’t be enough to contain this band or their sound. If Ugly was their breakthrough effort, expect Rose Mountain to push them into even higher echelons. Just don’t expect them to lose sight of their roots. For all they’ve accomplished in terms of stature, Screaming Females are still a band who are very comfortable with where (and who) they are. Listen to “Empty Head” below, with it’s brilliant Paternoster time-lapse art video, and order Rose Mountain as soon as it’s out from Don Giovanni. To close out tonight’s posting spree, there’ll be a few more gems in this introductory paragraph and then another look at Screaming Females‘ upcoming Rose Mountain to bring this bout to a close. Darlings teased the casual sprawl of the noise pop that’ll undoubtedly be populating their upcoming Feel Better with “Mein the Sky“, a track that single-handedly ensure Feel Better‘s status as a record to be met with anticipation. A curious pair of videos surfaced in the just-now-released clip for Jawbreaker’s classic “Boxcar” and a shadowy night drive provided the visual template for Total Control’s future classic, “Flesh War“. On the full stream front, Kid Wave unleashed torrents of shoegaze-inspired noise-punk with their incredible Gloom EP, which deserves to be regarded as one of the year’s best. Then, to top everything off, Screaming Females dug their nails and teeth deep into the vicious “Ripe”- and in doing so, earned the last feature spot of the night. “Ripe” accompanied the announcement of Rose Mountain (due out via Don Giovanni on February 24), the band’s follow-up to 2012’s career-best effort, Ugly. With “Wishing Well” having already provided a first look at the band’s upcoming record- and especially with “Ripe” augmenting it- the band’s trend of continuously topping themselves seems set to continue. Guitarist and vocalist Marissa Paternoster seems to be experimenting with a subtle restraint that’s paying massive dividends for the new batch of songs thus far, allowing the coursing energy of the music to be emphasized more fully than ever before. Unsurprisingly, Paternoster’s riffs remain as blistering as ever and her vocal delivery’s still incredibly impassioned and laced with a staggering amount of conviction. 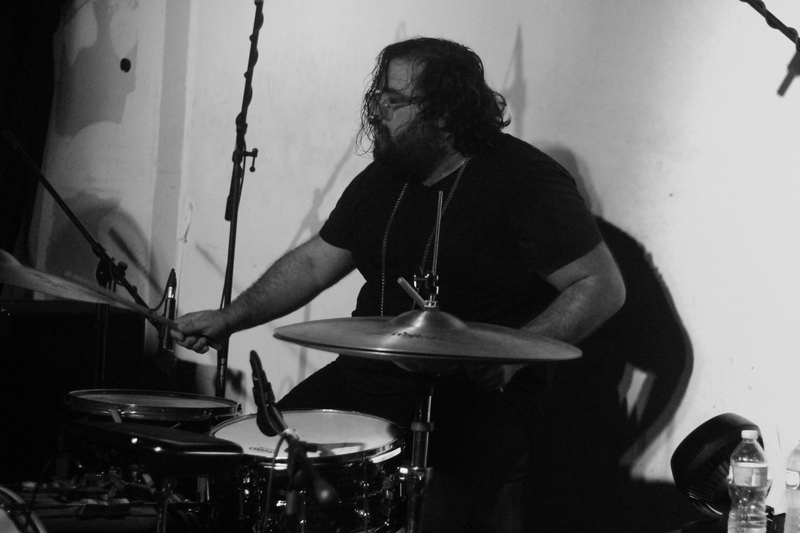 Jarrett Dougherty’s drumming’s still as powerful as it is precise but the work King Mike lays down on bass is easily among the best of his career. Paternoster and Mike trade riffs with a deranged glee, building “Ripe” into an unshakable basement punk bruiser. At some point over the course of the song’s three minute and 17-second run time, it seems like “Ripe” lights a fire underneath itself, pushing everyone in the band to play like their lives depend on equally fiery performances. This eventually leads the trio straight into one of the best bridges they’ve concocted, aided by some brilliant production work that rivals what Albini managed to accomplish with Ugly. By the time “Ripe” comes to its severely punchy conclusion, Screaming Females have outrun another grenade blast of their own design. Should all of Rose Mountain live up to the promise of its first two tracks, 2015 will have a very early Album of the Year contender. Stream “Ripe” via the somewhat disconcerting video below and make sure to pre-order Rose Mountain from Don Giovanni as soon as it’s a possibility.